This is a perfect album for fans of soft pop, safe for the whole family, vanilla Christian music. There isn’t anything wrong with the songs, but there isn’t anything great about them either. Fans will love this EP, while newer listeners will wonder at the inflated ratings. There are a couple songs on this album that will certainly get airtime. Unmaking, the title track, is the only mostly upbeat song and it’s easy to sing along to. Slow Down fits in great with other nostalgic patent songs like Cinderella and Butterfly Kisses and will be a favorite for many. All six flow easily together without changing much and definitely not challenging the artist. 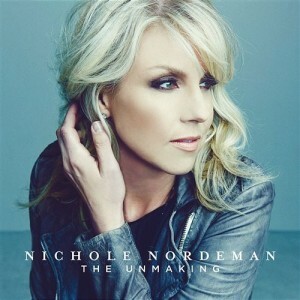 Nichole Nordeman is a very good singer and could do so much more with her voice than these songs ask of her. Congratulations to Mary A. of Menifee, CA for winning a copy of this album! This album was provided by the publisher as a review copy.